Sorry to start another actuator thread. But I felt a DIY solution might be worthy. In my very 1st post on this isssue (April of 2016) I posted "Wondering if the existing drive mechanism could be connected to a cordless drill?" Yes it can and finally I did it. And just using spare plumbing parts out of my shop. This thing lifts the lid in seconds. No strain on my compact drill (which i carry anyways for the stabilizers). The buckling issue on the rail is still there. I'm convinced it's because the torsion springs are getting weak. I've ordered gas springs described in backpacker3's thread: 2017 Rockwood A213HW Roof Repair hoping that will eliminate it. I have step by instructions if anyone is interested. I'd love the instructions please. I've replaced mine once within months of getting the camper brand new. If it happens again I'd rather do something like this and not have to worry about it being a continual problem. I am still using the "put it on for up" and then take it off and put it into storage until the next time to go up. Your work and sharing of know-how is greatly appreciated. What a great idea! I would like a copy of your instructions, please. Thank you so much. Thanks mickrock. It goes both ways. I just completed the refer fan mod I believe you contributed to. *The pictures in this write up are an OEM actuator I managed to rebuild after it crapped out, but never used. The one I modified was a Windy Nation. *-searched for something with a female end that would go over the drive shaft and a male end with threads. I ended up using brass plumbing fittings (3/8" ID) and two nuts. 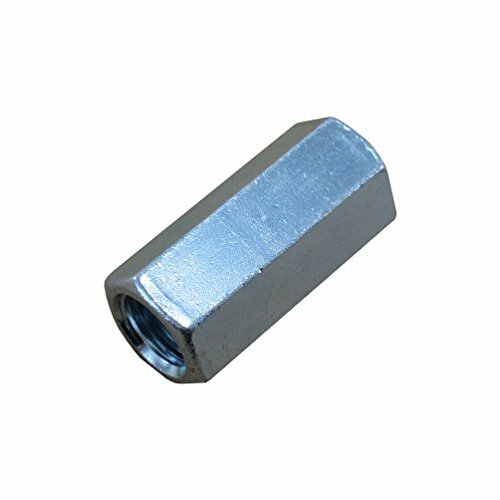 The 1st as a lock nut (should be thinner than example), the 2nd as the driver for your socket. *-cut the mounting bracket off the bottom of the gear housing with a hacksaw. It's cast aluminium, pretty easy. *-drilled a hole where the mounting bracket was, large enough for the new fitting(s). The fittings in this example are larger than what I actually used. Either would work, but you'd have to attach the 1st fitting with the pin, put the housing cover on then thread on the nuts. *-made a new mounting bracket from a boat bilge plug (rubber bushing) and a U bracket and attached it to the bottom of the gear housing. There's many ways you could do this. Would an all-thread (threaded rod) coupling work in place of the fittings you show? Actually it was one of the 1st things I looked at. But I couldn't figure out how to attach it to the drive shaft. Maybe someone will. The neat part about mods is how they evolve. you could cut threads on the drive shaft, but that sounds like a whole lot of extra work and you still need to drill and drive a pin through it. i would be worried that without it, your roof would come crashing down when you go to put it away and that fitting unthreads itself.